Aging in place wasn’t in vogue when I first became a gerontological nurse practitioner in the early ‘80s. And my patients certainly didn’t know they were aging in place. Especially Helen. She called it waiting to die. The Senior Clinic I worked in had just relocated from a one-bedroom apartment on the 10th floor to a larger two-bedroom on the fourteenth floor of a subsidized city-run building on the west side of Chicago. Helen was overjoyed to live in the apartment next door to us. She stopped in every day to say good morning and sometimes brought homemade sugar cookies or zucchini bread. She was in her 90s and in good health. When her hearing difficulty became worse, she would ask me to check her ears to see if they needed washing out. Otherwise, her visits were social. If the clinic was quiet, Helen would sit by my desk and tell me about her life. Since she was thin and small, barely over five feet tall, I looked at her incredulously when she told me she had worked as a guard in a women’s prison. 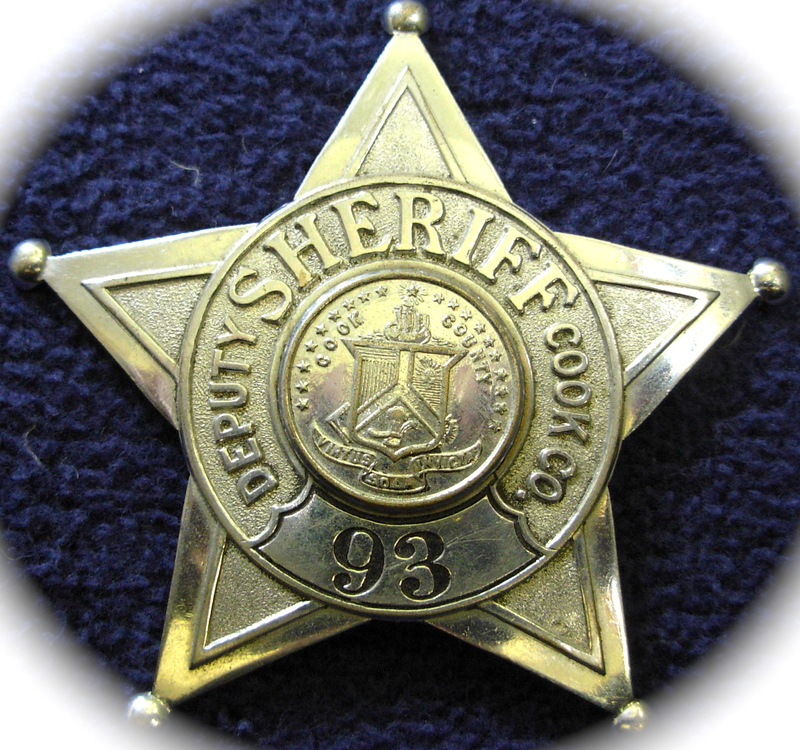 The next day she showed me her badge: Deputy Sheriff Cook Co. #93. She had lost a husband many years ago and her one son visited infrequently. Her life had narrowed and became routine. Helen accepted the inevitability of death and was the first to teach me that old folks aren’t afraid to speak of dying. “I lived a good life,” Helen said, “I’m just ready to die.” I can still see her warm smile and dark eyes crinkle as she said these words. In the blue-collar community where I worked, when you got old and feeble and family couldn’t take you in, you went to a nursing home. If you were terminally ill, you went to a hospital to die. Helen hoped to stay independent and avoid institutionalization but who knew then all the facets needed to meet that goal. I did what I could to keep my older patients as healthy as possible so they could care for themselves but I never thought then to set up a knitting group, coffee klatch or potluck dinners to address the epidemic of loneliness. Today, a grass roots movement is growing among the elderly themselves to develop/provide/support services and programs that promote independent living. In fact, in my own neighborhood of 160 single-family homes, those of us who are over 55 had our first meeting last week to discuss aging in place. We have come a long way in understanding what it takes to keep us older folks in our own homes. Various models have popped up across the nation, which are not just reliant on health interventions to maintain independent function but also on new technologies that open and lock doors, monitor outdated food in refrigerators, and help in sorting laundry. I wonder how all this would have made a difference in Helen’s life. One day she didn’t show up for her “good morning visit.” I knocked on her door. No answer. When the janitor let me into her apartment, I found her crumpled on the floor next to her sofa. The ambulance brought her to the hospital where she had a hip replacement. She died shortly afterwards of surgical complications. A couple of weeks later, after he cleaned out his mother’s apartment, her son gave me her Sheriffs’ badge. Thank you for this excellent post, Marianna. The idea of aging in place seems to really be catching on. Hmmm. Last week at the gym I heard a woman talking about how her neighborhood is organizing, over around North Street in Chapel Hill. Time to check this out. Love the badge. What an amazing gift. I agree this is a forceful movement. The timing is right with so many of us getting older. Thanks so much for this timely post, Marianna. My neighborhood is toying with the idea of just meeting to discuss the possibilities of such a concept. Maybe a fourth of our community is over 55. I have attended two different workshops on this growing movement elsewhere and hope to see it come to pass here. I know Helen benefitted from being near your office and you. And that neighborly proximity no doubt extended her life somewhat. You deserved that badge!! It was great her son thought to give it to you. Good luck with organizing your community. Very thought-provoking post. Amazing just to think about neighborhoods organizing in this way…I love the concept and hope it catches on. Thanks also for the story of Helen–and the badge. Amazing how something like that can symbolize so much. The badge has always reminded how much I have learned from my patients. A beautiful story about aging and the friendships that slip into our lives quietly over time. Your relationship with her probably gave her something to look forward to each day. Her badge was a very thoughtful gift from her son to you. Your story is timely. As a widowed woman of ‘a certain age’ I struggle with wanting to stay in my home and the complexity of keeping it maintained, repaired and in good shape as I age. Tough and emotionally charged choices await many of us. Maybe you need to spearhead the “aging in place” movement in your neighborhood. Something to think about. Lovely. Life on a continuum–from caring for the elderly to reluctantly entering that era ourselves. And our age group tries to take control of our own destiny much more than our parents did.